Partnership is very much alive and well in further and higher education. 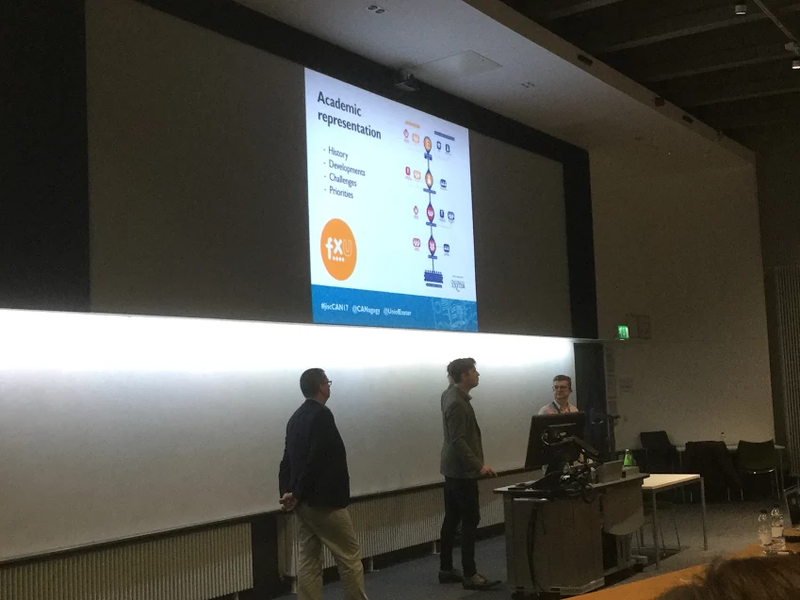 Last year, I was first introduced to the Change Agents Network at Jisc as a student and volunteer SU officer when the University of Lincoln hosted it’s annual meet-up. I was asked to co-present the keynote at the start of the conference on ‘The University of Lincoln: a research-engaged and collaborative community’ with Dr Karin Crawford, the Director of the Educational Development and Enhancement Unit, Lincoln’s former learning and teaching unit, following our own experiences of the student as producer ethos. Opening keynote at Jisc Change Agents’ Network 2017 with Jake Hibberd, Tom Murray-Richards and Harry Reeve. 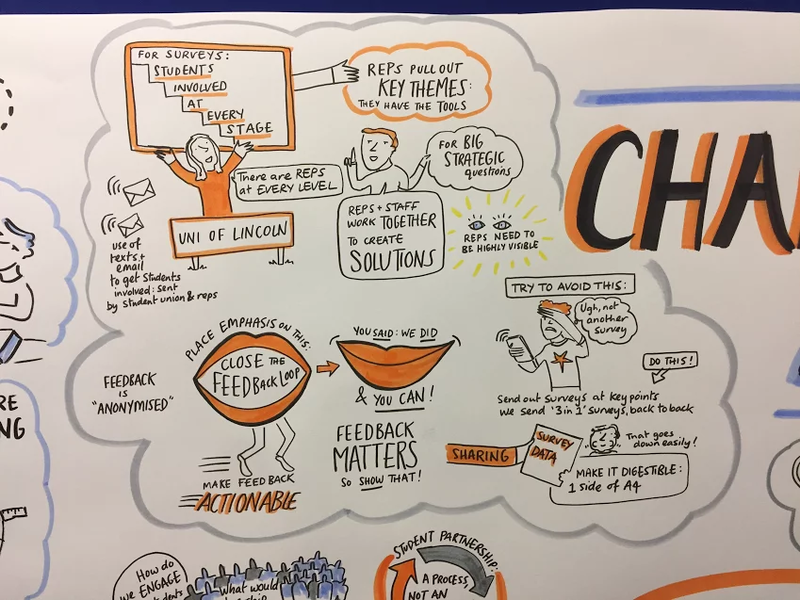 Supporting Effective Partnerships’ was the theme at this year’s Jisc Change Agents’ Network 2017, hosted by the University of Exeter. The conference programme this year was across two days with a mixture of parallel presentations and workshops as well as keynotes. One thing that stood out strong this year is that partnership is alive and well — between staff and students or between universities and students’ unions. The University of Exeter has a strong culture and passion for Students as Change Agents, as noted with their project, throughout the institution which set the tone for the rest of the two days. For me, I picked up some really good ideas and best practice which I have taken away from the event, two examples from Exeter; Student Quality Champions and online student-staff partnership boards. Student quality champions are the Deputy Subject Chairs, elected by students, who have responsibility in a particular area for quality matters so staff have one student contact to discuss changes to programmes or surveys as well as sit on Academic Offences panels for students in other departments. Student-staff partnership boards take place within the College of Life and Environmental Sciences at the University of Exeter, where the college is based across three different campuses, therefore typical feedback and partnership work previously has struggled until video conference capabilities enabled partnership boards to be launched including Exeter Students’ Guild, Falmouth and Exeter Students’ Union, staff from the college and student subject chairs from the various different departments. This approach is very interesting in closing the feedback and communication loop between students and representatives across different campuses, something which I found useful while looking at distance learning representation. The Power of Partnerships; using data collaboratively to enhance the student experience. As part of one of the sessions in the conference programme, a team from the University of Lincoln and University of Lincoln Students’ Union delivered a workshop on using survey data in partnership to help enhance the student experience. 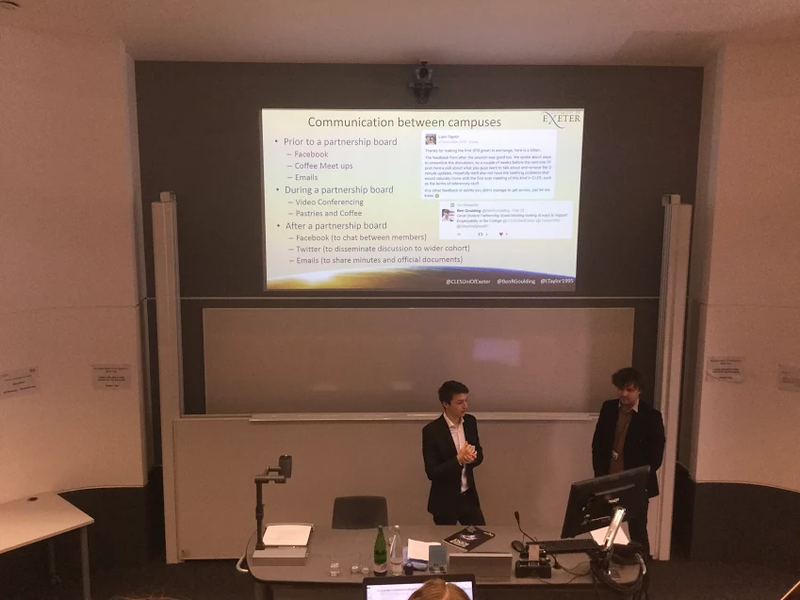 The specific example used was our Module Evaluations, which are facilitated by the Students’ Union (promotion and operational running) on behalf of the University. Student Academic Reps then use anonymised comments in partnership with staff to make a positive impact on the student experience. This year’s Jisc CAN conference was thoroughly interesting and thought provoking with lots of good examples of best practice shared around between sector colleagues.